Elaine Olafson Henry is the Editor and Publisher of the international ceramics journals Ceramics: Art & Perception and Ceramics TECHNICAL. She earned a BFA from the University of Wyoming and an MFA from Southern Illinois University at Carbondale. She taught at Emporia State University from 1996–2007 where she served as the Chair of the Department of Art from 2000–2007. 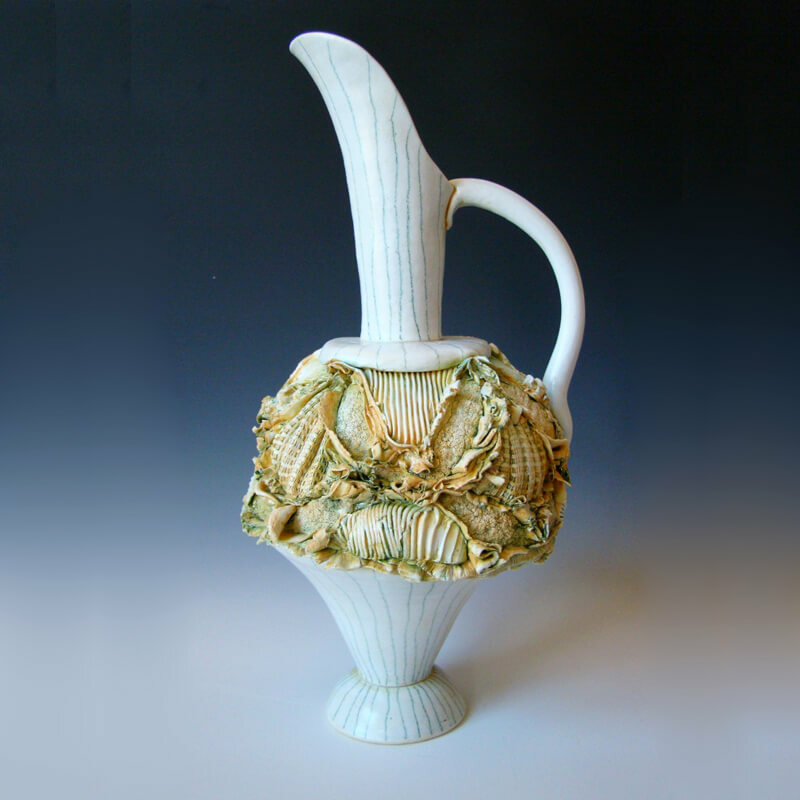 Henry served as the President of the National Council on Education for the Ceramic Arts (NCECA) 2002–2004. She is currently a Fellow of that group. Her work is internationally published, exhibited and collected. She is an elected member of the International Academy of Ceramics. Through my work, I explore the boundaries of excess and constraint within the parameters of the formal issues. I am interested in conversations that take place between me (as the maker) and the material (as a responder) and vice versa. Each toss of the clay or each tool mark elicits a new response, keeping the conversation fresh. Through experimentation with form, (often influenced by Asian and/or Classical forms) I explore the balance of fluidity and stability. In the completed works, the process has included the balancing of control and discovery, excess and constraint, speaking and listening: all are essential.